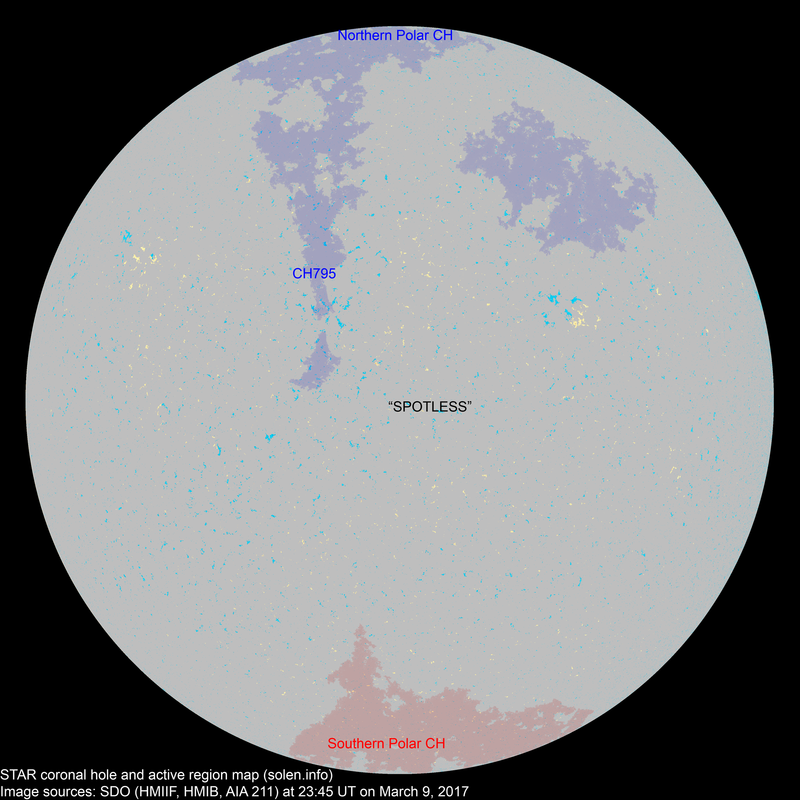 Last major update issued on March 10, 2017 at 05:30 UT. 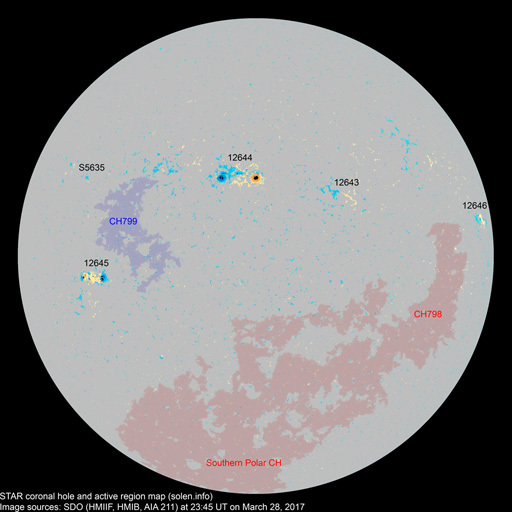 The geomagnetic field was quiet to unsettled on March 9, still under the influence of a high speed stream associated with the southern polar coronal hole. 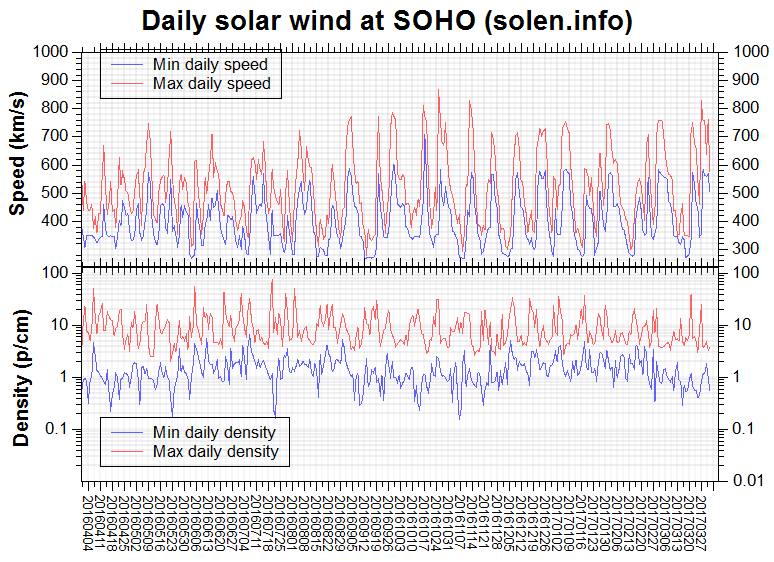 Solar wind speed at SOHO ranged between 465 and 564 km/s. 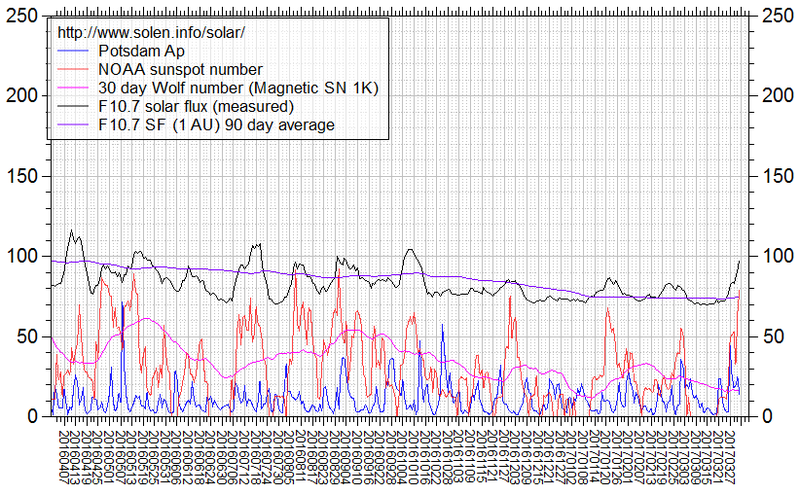 Solar flux at 20h UTC on 2.8 GHz was 71.2 (decreasing 2.8 over the last solar rotation). 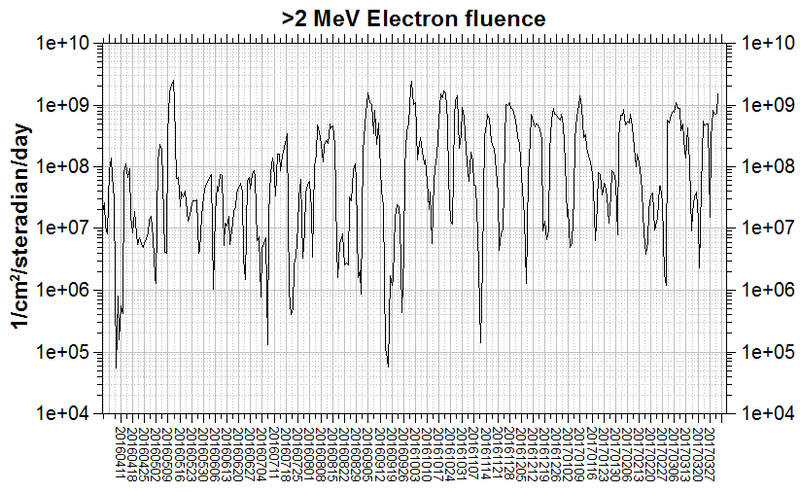 The average 90 day 10.7 flux at 1 AU was 73.7. The Potsdam WDC planetary A index was 11 (STAR Ap - based on the mean of three hour interval ap indices: 10.9). 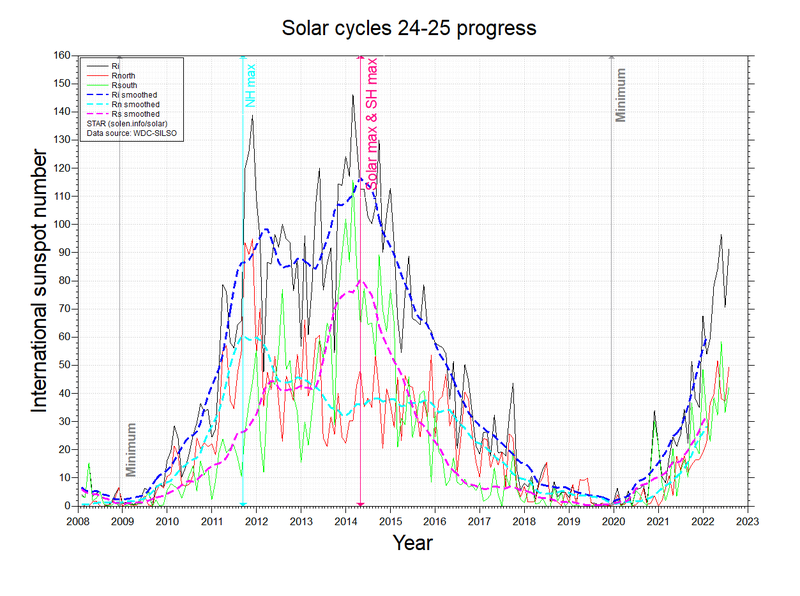 Three hour interval K indices: 32233222 (planetary), 43352445 (Boulder). March 7-9: No obviously Earth directed CMEs were observed in available LASCO imagery. 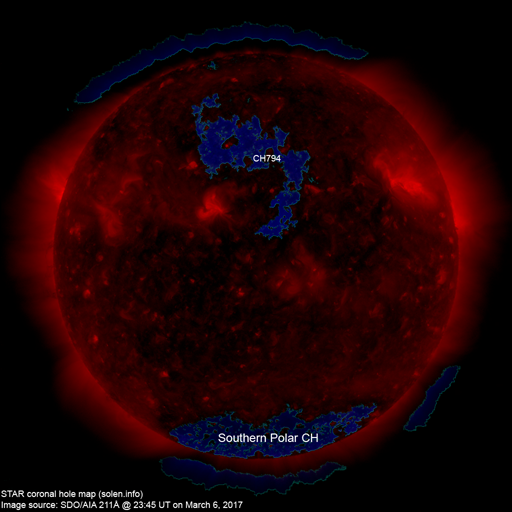 A narrow extension (CH795) of the northern polar coronal hole will be in an Earth facing position on March 11. The geomagnetic field is expected to be quiet to unsettled on March 10-12.